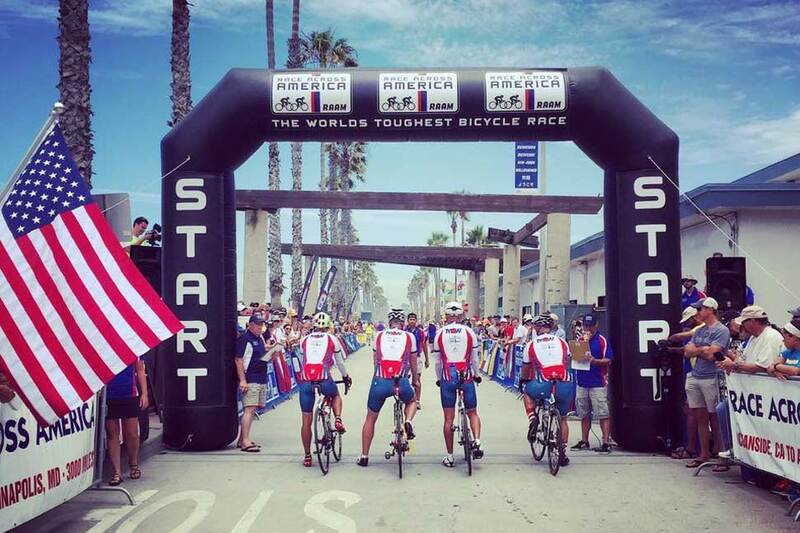 For the past 36 years, Race Across America – or RAAM for short – has been pushing ultra-cyclists to their physical and mental limits. It’s not hard to see why: starting in California, this 3,000-mile race is 30% longer than the Tour de France, crosses 12 states and four of the longest rivers in the US, climbs the Sierra, Rocky and Appalachian Mountains and swings by the Mojave and Sonoran Deserts, Monument Valley, Great Plains and Gettysburg. The race is unusual in that it is open to professional and amateur cyclists. Solo racers must qualify to compete, but anyone can organise a team of two, four or eight. 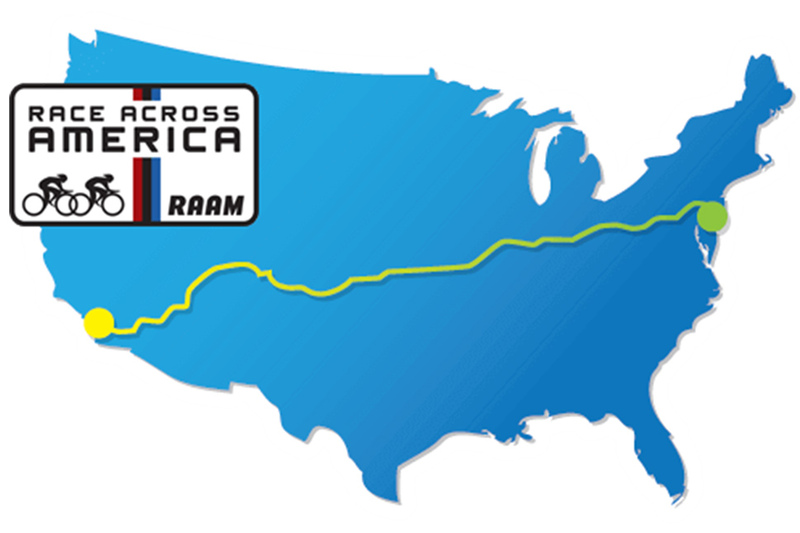 But, what really sets RAAM apart is that it is a race against time, as well as each other. Unlike the three big European Grand Tours – Tour de France, Vuelta a España and Giro de Italia – there are no stages, no rest days. In other words, once the clock starts it doesn’t stop. 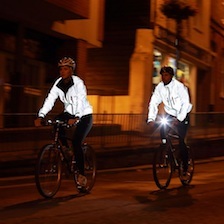 Individual cyclists have just 12 days to get across the continent. Team riders get nine. If you’re not exhausted just reading all that, then it is one of the most extraordinary experiences a cyclist will ever have. It all started in 1982, when four individuals raced from Los Angeles to New York. The race captivated public imagination and within a decade relay teams were introduced. Today, people from all over the world take part with race ages ranging from 13 to 75 years old. This was not a completely random decision, though. 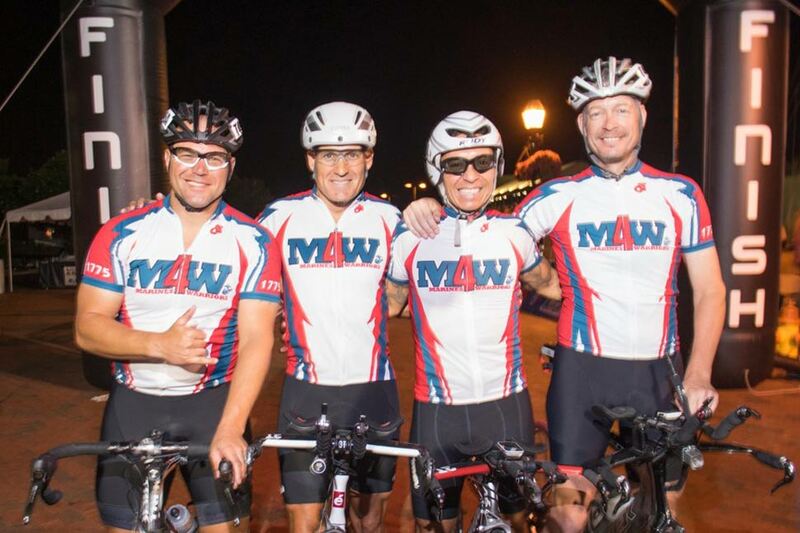 A retired US Marine, Tim had already built a triathlon career by this point, including participating in the Ultraman event in Hawaii, where he now lives, which sees participants swim 6.2 miles, bike 261.4 miles and run 52.4 miles. “Cycling was always my weakest of the three events so it was beyond my capability to do a solo RAAM, but I thought entering a team would be fun,” says Tim. To begin forming a team, Tim thought of a friend who also happened to have been following Strasser’s progress in the 2014 race and – serendipitously – his friend called him to see if Tim would be up for entering the race. They agreed and decided on 2016. 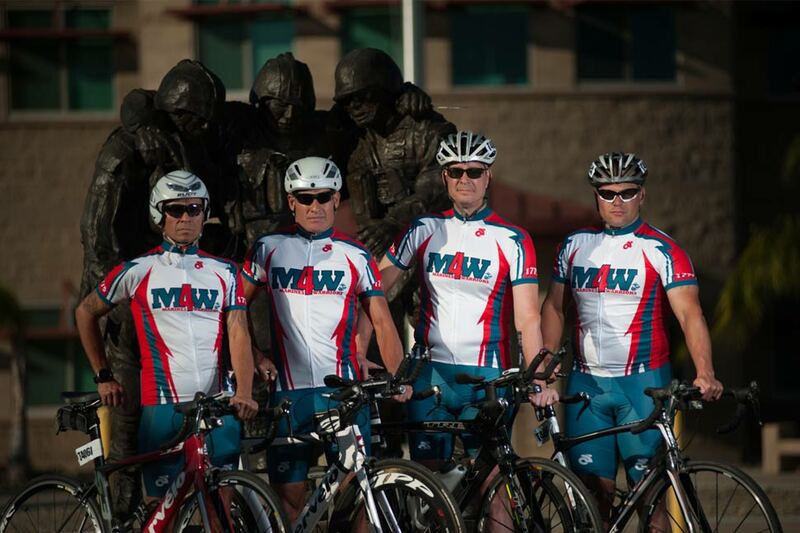 Each of them recruited a second team member – all active or retired Marines and RAAM novices. And, thus, Team Marines4Warriors was formed. So much so, Tim’s already thinking about doing it again. 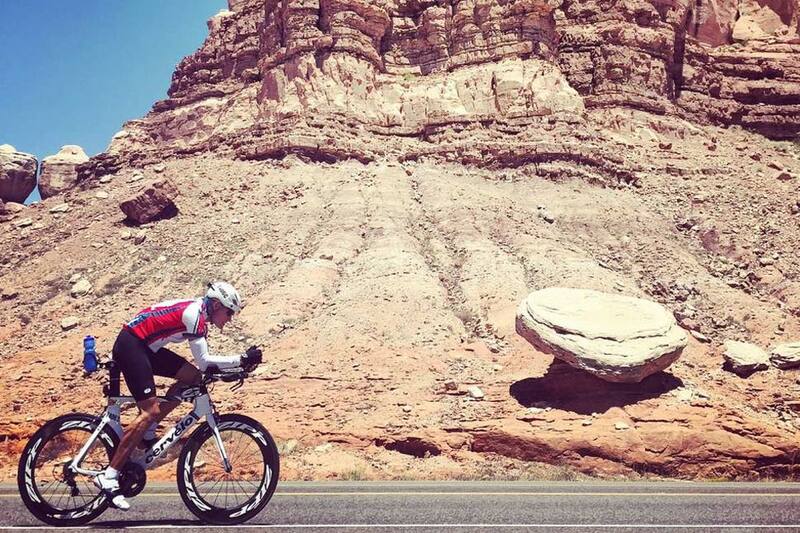 “Pretty much right after RAAM I said this is one I definitely could do again because it was such an amazing experience. Next time, I’d like to put together the most competitive team I can get. It was one of the best experiences I’ve ever had.” Marines4Warriors did win the Armed Forces Cup, so we’ll see what’s next for Tim and his team. Get a good crew chief. Jen sorted 90% of our logistics, recruited most of our crew and really ran the whole show. 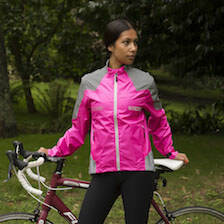 Don’t get overwhelmed – don’t think about it in terms of having to do 300-400 mile training rides. 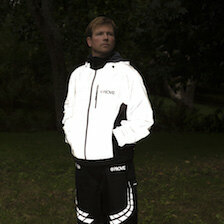 You won’t have to do that in the race, so there’s no need in training. That said, you will need to do it back-to-back, so be aiming for several consecutive 100-150 mile rides during your big 400-mile training weeks. Make sure your team is of similar experience and preferably has the same goals. We were all about the experience rather than the competition, but I think if we’d had different goals, it would have led to frustration. Train together, if you can. Geography prevented us from doing so, but I think it would have been a huge advantage to plan to our race strategy and train together. Do shorter intervals during the race. 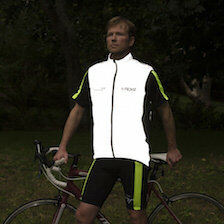 It's without question, the fastest way to get the miles in. Be ready to spend a few dollars, it’s not cheap. Check out the Team Marines4Warriors Facebook page for more information on their ride and photographs, or if you would like to get in touch.